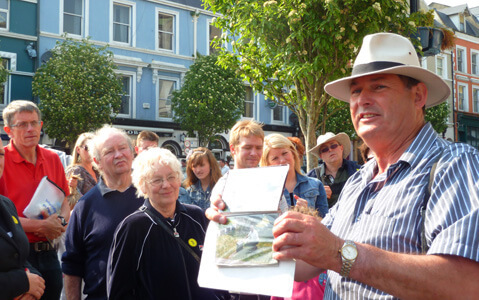 Dr Michael Martin’s Titanic Trail, established in Cobh in1998, is one of Ireland’s premier guided walking tours and has been recommended by all major tourist guide books such as Rick Steeves, Lonely Planet, Fodors and more. 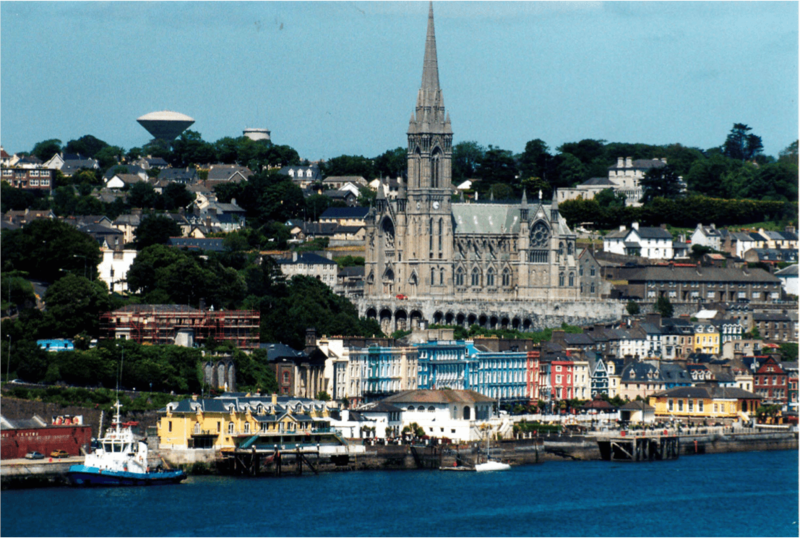 Since then, the Titanic Trail daily guided walking tour of Cobh has been the subject of numerous TV documentaries, filmed by 20th Century Fox, National Geographic, the BBC, Irish and French National TV companies and more. The company has worked closely with the tourism trade on a daily basis since its foundation and caters for Leisure industry, incentive groups, FITs, coach tour, cruise liner excursions, special interest groups and conference arrangements business. The tours and events are noted for bringing the story of Ireland’s Cork Harbour to life in a most engaging, educational and enjoyable way for visitors in the very environment where history was made. Incredible insights are provided into the real stories of Titanic, Lusitania, and Irish emigration not offered in the usual films and museums. The tours and services are tailor-made to meet tour operators and client’s specific requirements. Titanic lectures and Tours, Maritime interest presentations and a range of heritage activities are among the products on offer. New perspectives on old stories are the hallmark of what the company does. All are both educational and fun. Generous trade rates are offered. Dr Martin is the author of numerous books on different historical topics and his dictum is that history, in its delivery, must always be accurate but never ever boring!